When we got home from our Labor Day weekend at Casey’s parents on Monday, not only was our TV showing static instead of cable television, our TiVo service was inactive – effectively turning the machine into an electronic doorstop. No, this wasn’t some sort of horrible mix-up. This was our family’s final step in breaking-up with cable TV. For nearly six years, we subscribed to our cable company’s Basic plan, which offered about 70 different channels. Then, over time, we started noticing more and more channels slipping away into their Preferred package. “Upgrading” to this plan would have not only required a digital cable box, but cost 50% more than what we were paying per month. So after talking it over and realizing how few of the channels we actually watched, Casey and I decided to downgrade to the cable company’s unadvertised Limited plan, which offered a dozen channels of actual programming (subtracting local channels and the TV Guide channel) for less than $20/month. Sure, we missed the Discovery Channel, TLC, and the Food Network at first, but the others went unnoticed. Since making that switch, we slowly noticed that PBS kids programs were taking a larger and larger share of the TiVo’s storage. And after moving from Thompson to Grand Forks in July, the boys usually watch a show or two right away in the morning, and not much else after that. Casey and I rarely have the TV on in the evening after the boys are in bed – we’re much more likely to be talking, listening to MPR, reading a book, or reading or writing on our laptops. Don’t get me wrong – there are some amazing TV shows on right now that I really enjoy. It’s just that the internet has become our primary delivery method for video content. Between Hulu, Netflix’s “Watch Instantly”, YouTube, and BitTorrent, there are enough shows and movies available online to last several lifetimes. And whatever we currently can’t get online takes just a day to two to receive via postal mail from Netflix. There’s simply no reason to pay for cable anymore. 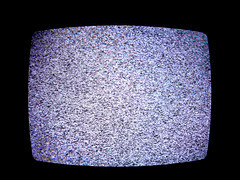 According to a Nielson report from earlier this year, Americans on average now watch five hours of television per day. That’s over 75 days per year of forgettable B-grade movies and sitcoms you’ve already seen a half dozen times before, endless pundits spewing partisan venom on 24 hour news networks, and watching attention-starved people live out their simulated lives on “reality TV”. So instead of wasting my time on the garbage, when I am looking for something to watch, I have a backlog of great TV series I can pull from whenever and wherever I want. Life’s just too short for bad TV. Next PostCutting the Cable Part 2: Hello Roku.